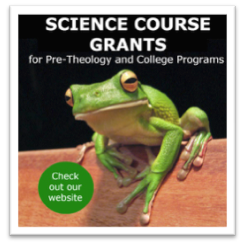 The Cardinal Suenens Center at John Carroll University is pleased to invite pre-proposals from all US RC seminaries to develop science courses for their pre-theology and college programs. The most promising pre- proposals will be asked to prepare full proposals. Grants of $10,000 in 2 installments will be granted up to 15 proposals. Faculty authors, with seminary Rectors or Academic Deans, will be invited to a conference in Tucson, Arizona, in January 2016, for input from scientists, theologians and educators and for information for administrators about how best to cultivate interest and involvement at the seminary for the new science offerings. The first grant of $5000 will be awarded on September 10, 2015. The second installment will be awarded when the science course is scheduled in the academic calendar and delivered for the first time in the Fall semester 2016, Spring semester 2017, or Fall semester 2017. A limited number of $4000 grants will be awarded for courses that are taught a second time. Funding for this important initiative has been made possible by a grant from the John Templeton Foundation. A. WHY ARE WE DOING THIS? Official Church documents, especially since the Second Vatican Council as found in Optatam Totius (1965), Gaudium et Spes (1965), the Ratio Fundamentalis Insitutionis Sacerdotalis (1985), Pastores Dabo Vobis (1992), and the Program of Priestly Formation, 5th ed. (2006) – to say nothing of the many statements of Pope John Paul II, and more recently of Pope Francis – strongly suggest that it is time to recover and reintegrate the tradition of teaching scientific literacy in the in the seminary intellectual formation program. This initiative responds to the vision provided by these documents and anticipates a clergy prepared to engage the bigger questions of science that are foundational for effective evangelization in a scientific and technological world. To put it simply, there was a time when literacy meant knowing how to read and write. Now, being literate means knowing basic science – something more than high school level, and less than what’s available on CSI, the popular forensic science television show. We think that is truer now than ever before. B. GOALS OF THIS INITIATIVE (We have 2). The first and primary goal of this effort is to effect seminary curriculum in a way that is reasonable, challenging, and sustainable by introducing courses in scientific literacy in pre-theology and college programs that will make a measurable difference for seminarians in their future theological studies as well as in their eventual pastoral ministries. This proposal provides a path that will result in a “systemic change” to current Catholic seminary formation by helping seminaries achieve a vision that has already been set for them by the magisterium. A scientifically literate priest, conversant with the scientific method, the philosophy of science, a general scientific vocabulary, and a familiarity with the basic content of the physical sciences, would be able to read scientific articles with understanding, evaluate information with a sufficient knowledge base, and engage in dialogue on science topics with increasingly informed congregations. The goal is not to make seminarians into scientists but rather to provide a challenging, increasingly necessary, rewarding and very do-able effort towards scientific literacy. Aware that one course alone, or even several courses, are not enough to permeate seminary culture, our second goal is to energize scientific literacy throughout the seminary community. Funding is available for faculty development events to engage the big questions – and smaller ones – in science. For the Planning Team of this initiative, what is important is that this initiative is not regarded as the province of the one, or few, who may be teaching a science course. To be credible as providers of scientific literacy to students, seminary faculty must themselves possess a glimmer of the majesty of God’s creation in the natural world. That glimmer heartens the soul and mind of the one who beholds. It is also contagious and touches those in the orbit of the beholder. Of the $5000 initial grant, $2500 is designated for Faculty Development at the seminary and $2500 is intended for the individual faculty member in his or her preparation for the course. Application for pre-proposals for science courses may be found at semscience.org. To cover tuition for online courses or courses taught on site at colleges and universities. To travel to science conferences at institutions engaged in questions related to science and theology. To travel to scientific exhibits that have correlation with the material to be covered in the science course in preparation. To invite scientists to the seminary for lectures with separate time reserved to discuss plans for the science course in preparation. To request a full or partial course reduction or release time from other responsibilities at the seminary. Invitation to a speaker to lead a faculty development workshop followed by dinner. Twice a semester? Monthly? A faculty book club, or two different book clubs, depending on selections, each with dinner or refreshments and snacks, with/without a guest to lead the conversation. For example: Anything by Paul Davies, John Haught, or John Polkinghorne. Or: “Far From the Tree” by Andrew Solomon, “God’s Hotel: A Doctor, a Hospital, and a Pilgrimage to the Heart of Medicine” by Victoria Sweet, “The Meaning of Existence” by Edward O. Wilson, “The Emperor of All Maladies” by Siddhartha Mukherjee, “The Omnivore’s Dilemma” by Michael Pollan. A faculty ‘science at the movies’ series: “Gravity,” “The Theory of Everything,” “A Beautiful Mind,” “Awakenings,” and “Inherit the Wind,” and/or zillions of others. With dinner, or with refreshments and snacks, with/without a guest to lead conversation. Dinner and conversation on scientific literacy and the New Evangelization with input from an informed speaker who could, but need not be, a member of the seminary faculty. Funds for faculty travel to a nearby university or institution featuring a scientific exhibit or lecturer, on-line course or seminar. The Planning Team is flexible and open to all creative ideas. For the team what is important is engaging the value of science at the seminary. The second $5000 installment of the $10,000 grant will be awarded to the host seminary once the science course is scheduled in the academic calendar and delivered in the Fall 2016 , Spring 2017, or Fall 2017. From this grant, $1000 is for the continued preparation of the faculty person teaching the course. The remaining $4000 is for the host institution to assist in the implementation of the course and its successful delivery. Purchase of resources (books, subscriptions) for the seminary library (likely to be lacking in science resources). For outreach efforts that are part of the project. Outreach may involve inviting local communities to the seminary for a science lecture (e.g., for the very tantalizing topic “Are We Alone, or Is There Life on Other Planets?”). Outreach might involve subsidizing seminarians and/or faculty who visit parish organizations, high schools, or participation in a lecture series or as part of a book club’s discussion on a science topic as it relates to theological concerns (e.g., cell mutation in “The Immortal Legacy of Henrietta Lacks” by Rebecca Skloot). Funding to cover the cost of required texts for the course – science books tend to be expensive – to encourage enrollment in the course. A limited number of $4000 grants will be available for a second round of courses. Members of the faculty, full or part-time, at accredited United States Roman Catholic seminaries are eligible to apply for course grants. See the response to Frequently Asked Question #5 at the end of these pages for particular considerations. F. POSSIBLE TOPICS – (Suggested; your imagination is valued, so please don’t feel confined to these ideas). Topics above are illustrative not definitive. The Planning Committee encourages freedom to create a science course that best meets the needs of your seminarians. NB: Some course ideas are expanded in the document, “Starter Kit: Course Ideas” on our website. The John Templeton Foundation funds a wide range of science engagement but does not support courses in bioethics or those engaging issues such as sustainability, environmental ethics or creation care. Applications will be judged by a Review Committee composed of Father Professor Rafael Vicuña, (The Pontifical Academy of Sciences); Father Job Kozhamthadam, S.J., (The Association of Science Society and Religion at Jnana Deepa Vidyapeeth, Pune, India); Rev. W. Shawn McKnight (Secretariat of Clergy, Consecrated Life and Vocations, USCCB), and Ignatio Silva (Ian Ramsey Institute, Oxford University). An amplified narrative with fuller description of each item listed for the pre-proposal. Integrity of bibliography and its engagement with current research. Planned outreach to share learning from the course with the larger community. Plan for sustainability of the course after the grant is closed. Response to questions raised and/or suggestions, if any, offered by the Review Team. A plan and budget for Faculty Development. A budget for the individual faculty member who will teach the science course. How was the course advertised? What preconceptions, if any, did students bring to the course? What preconceptions, if any, emerged during the class? Where was the level of interest highest? Where was the level of interest lowest? Did students indicate an increase in their pastoral sensitivity to issues of science? How? When did that happen? Did some students connect science with pastoral issues? What resources were most helpful to you in preparation of the course? If team-taught, what were the benefits to that arrangement? If you are teaching this course again, what changes would you make? What elements of the course would you definitely keep? Has this course created a “buzz” in the seminary? Say more. Assuming you value scientific literacy, how would you propose to integrate science into the curriculum?